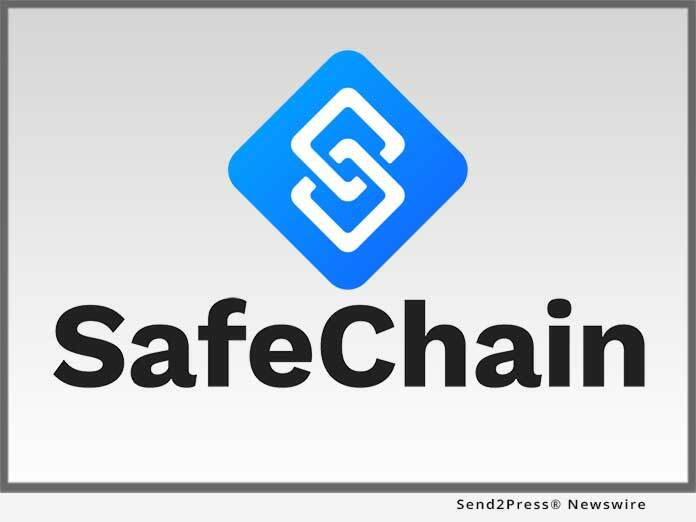 EVANSTON, Ill., Feb 04, 2019 (SEND2PRESS NEWSWIRE) -- SafeChain, the industry leader in wire fraud prevention software and blockchain implementation for land title, announced today that it has integrated bank data from Accuity, the leading provider of financial crime compliance, payments and Know Your Customer (KYC) solutions, to enhance the security of real estate transactions. SafeChain's wire fraud prevention platform, SafeWire(TM), now incorporates information from the Accuity Bankers Almanac Routing and Transit Number (RTN) File, to give users greater confidence that funds are being wired to the correct account. "As wire fraud schemes increase in both number and complexity, it is critical for title companies to authenticate and verify every aspect of the wire transaction to ensure consumers' funds are protected throughout," said SafeChain CEO and Co-founder Tony Franco. "The integration between SafeWire and Accuity, the Official Registrar of ABA Routing Numbers, provides additional peace of mind to all parties in a real estate transaction by ensuring the authenticity and accuracy of routing information and adding an additional safeguard against wire fraud." Now, when wire instructions are sent to SafeWire, users can leverage the Accuity payments data to verify that all necessary routing information for the transaction is present and correct. In addition to SafeWire's current ABA and intermediary verification checks, the Accuity integration will make it easier for the consumer when an intermediary institution is needed to complete a wire transfer. Rather than relying on the consumer to gather the intermediary's routing information, Accuity will now collect and verify the information automatically and report it to the title company via SafeWire. "Wire fraud in real estate transactions is one of the fastest growing cybercrimes in the United States, and the closing process, in particular, requires closer scrutiny of transactions," said Sarkis Akmakjian, Senior Director of Product Management at Accuity. "Bankers Almanac Routing and Transit Number File significantly reduces operational risk by ensuring the integrity of the payment origination data. We are pleased that SafeChain is working with us to optimize and reinforce the safety of its payments processes." Part of RELX Group, a global provider of information and analytics for professional and business customers across industries, Accuity has been delivering solutions to banks and businesses worldwide for 180 years. For more information visit: https://accuity.com.